The aging population in Singapore has seen a rise in aged care, and with rising costs in such homes, some are looking across the straits for alternative and cheaper care. Cost isn’t the main criteria when Singaporeans consider sending their loved ones across the border. The state of care and the facilities play a big part as well. Many look at aged homes in JB as warmer and more joyful for their loved ones to live in. 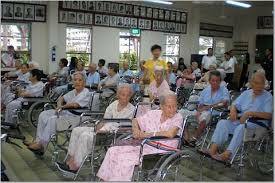 MOH is looking to increase the number of beds in nursing homes from the current 10,000 we have now to 17,150 by the year 2020. 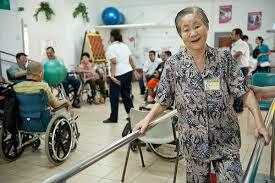 Nursing homes will also have to meet higher standards of care with new standards introduced this year. 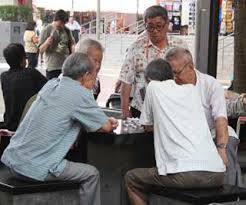 Singapore has one of the fastest aging populations in the world, there were more than 430,000 people aged 65 and above as of 2014 june, a 100,000 increase from 2010. The population is set to double by the year 2030 to a million elderly folk. With figures like that, it isn’t feasible to be sending all our grandparents to Johor. If you are looking around for a suitable nursing home, why not check out the Clover Care Centre? They’re located in Gelang Patah, pretty near to LegoLand…which in turn is not too far from Singapore. some have relatives across the causeway who might do more visitation and provide more emotional support.